Tidy toys never looked so good! 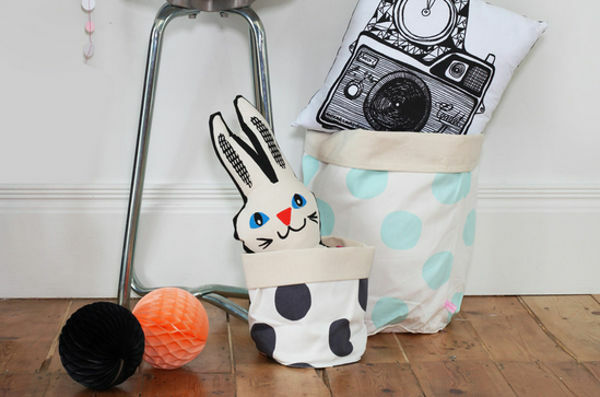 Grab a couple of these washable storage bags and turn toy storage into a décor statement. Remember adorable French brand La Cerise Sur le Gâteau? 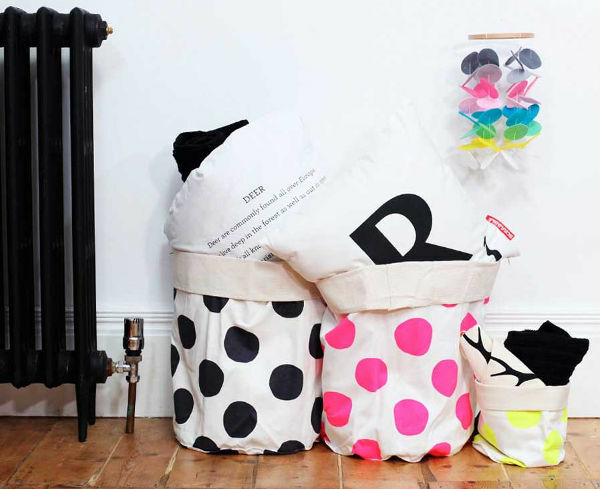 It translates to the cherry on the cake, and we’ve previously shown you some of the amazing cushions, Now we’ve fallen for these brilliant storage bags. 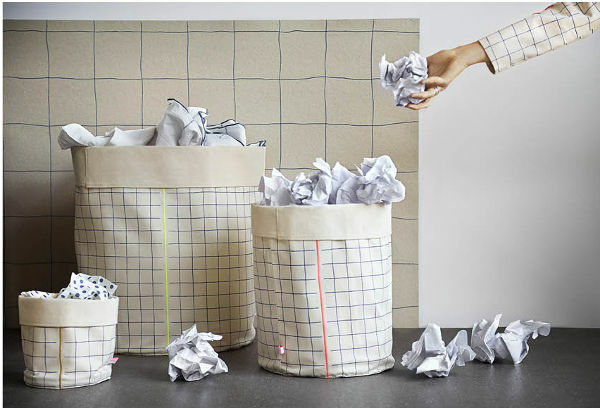 Made of two washable covers, raw fabric on the inside and beautifully printed on the outside, these storage bags are as much a statement piece as they are a tool to tame the toys. They’re also perfect for all manner of bits and bobs in the nursery – creams and powders in the smaller version, nappies in the larger. 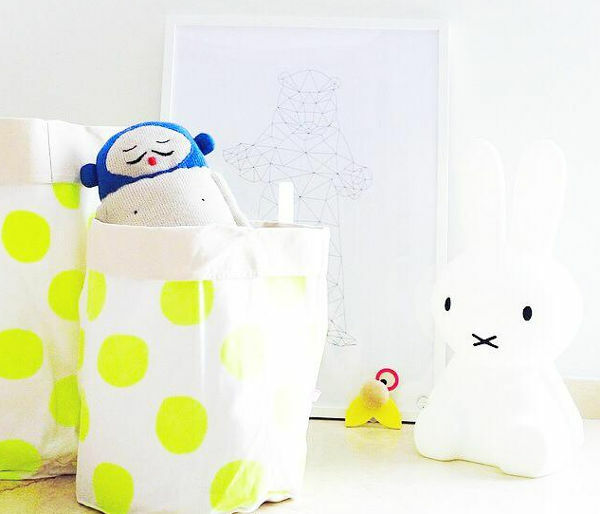 They come in small (€28), medium ( €40) or large (€60), and the designs are right on the pulse of what’s popular in children’s spaces. Gold spots, bold black polka dots, graphic lines all make an appearance. Made from 100 per cent cotton, these bags are available directly from La Cerise Sur le Gâteau, with international delivery an option.